Have you ever thought about writing a letter to yourself to describe your ideal future life, long-term life goals and the process of how to plan for them? Imagining what you want your life to be like in the long term when you retire can help you think much further ahead than you might ever have done before. Research conducted for a new campaign shows that over half (54%) of people plan their lives only days (31%) or weeks (23%) ahead. The participants were asked to look deep into their future lives in a bid to uncover what really matters to them. When asked to write a letter to describe their ideal future lives, people were very good at imagining it. But many didn’t know how they were going to achieve it or how to take the next step to build a bridge from now to that future self by putting a plan in place to get there. The writing exercise uncovered how people really envisage their life in the future. The letters illustrate that well-being in old age pivots on simple hopes (family, health and happiness) rather than extravagant financial ambitions. A well-balanced life was a key aspiration for many respondents. The letters confirm a clear hierarchy of needs and aspirations in life that many of us would have expected: family/partner, followed by career and financial security, followed by hobbies and interests, including friends. While a handful of the respondents hope for lottery wins or gold medal glory, the overwhelming majority express their desire to remain healthy and active in old age and to live ‘comfortably’ with some degree of financial security. The letters revealed a nation aspiring to much more grounded ambitions: the centrality of family, a desire to travel to learn throughout life and to have fulfilling but balanced careers with a good work/life balance. It’s not surprising that family, health and happiness are central pillars of people’s well-being. What is surprising is how unprepared most people are to achieve the dreams they have described. The letters are wonderfully optimistic, but there is a reality check. 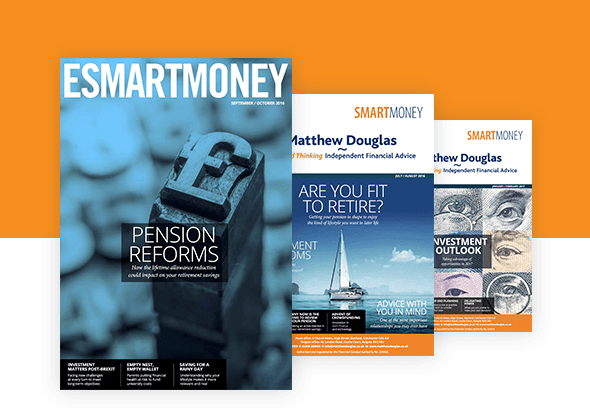 The findings showed that people underestimate their required size of pension pots by up to £550,000, while many people who have the capacity to save aren’t doing so. By using the letter as a catalyst, once you know what your goals are, the next step is to plan for them. To support the letter writing campaign, a study was also commissioned to gauge people’s current well-being and life goals. The survey indicates a fundamental disconnect between the life people aspire to and their life now. The study found over half (54%) of people plan their lives only days (31%) or weeks (23%) ahead. While 14% of respondents said they plan for years ahead, very few (4%) plan for future decades. This may explain why only 11% of UK adults with life goals know how they will achieve them. When it comes to life goals for the future, travel is a primary ambition for over two in five people (44%), followed by eating well (40%), getting fit (39%), more time with friends and family (36%) and better work/life balance (20%). Money is the main thing (33%) preventing people from achieving their goals, then motivation (28%), followed by energy and time as barriers in equal measure (26%). When it comes to financial goals, one in five people (20%) have none whatsoever. Among those with goals in mind, the same percentage of people (20%) have not worked out a strategy and don’t know how they will achieve their specific goals. The top financial goals are: save for a rainy day (43%); earn more money (32%); save for a special occasion (21%); reduce or clear debts (19%); and buy property and pay off mortgage (both 17%). Your finances touch just about every aspect of your life. Your personal life and your financial life are not separate – they intertwine with each other. Your path to financial freedom means identifying and harnessing your dreams and bringing them alive. We can help you find an answer. Whatever stage of life you’re at, we can guide you through the opportunities and challenges you face. The Brewin Dolphin letter writing project asked 500 UK adults to write a letter to their future selves deep into old age – a letter their ‘future self’ may discover and read as they reflect back on life. Methodology: online survey completed by 500 economically active respondents aged 18–65. Fieldwork by Trajectory from 12–20 April 2018.